Improvements in technology regarding the use of aluminum in transformers have made aluminum-wound transformers the ideal choice for today’s applications. 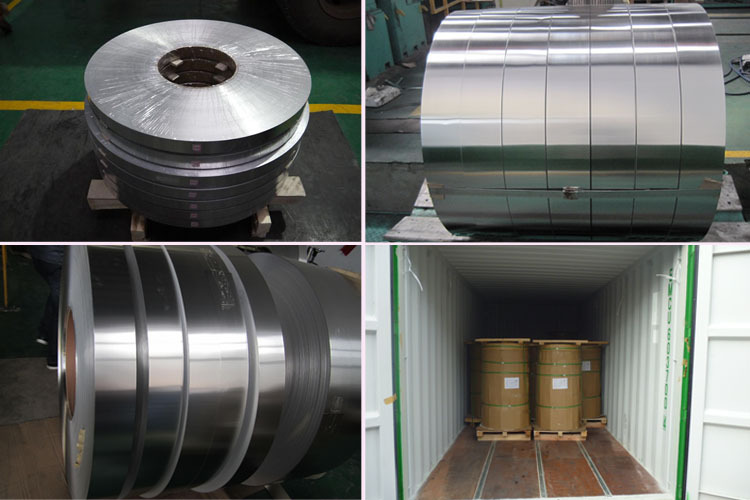 Haomei Aluminum strip is located in famous aluminum capital of Zhengzhou, Henan province. We are professional aluminum strip/plate manufacturer, mainly produces series-1, series-3, series-5, series-6 and series-8 pure aluminum and aluminum alloy plate/strip/foil products, such as Aluminum strip,Aluminum thick plate, ROPP cap materials, aluminium circle/disc for cookware and lighting, aluminum drilling entry for PCB, aluminum tape for aluminum plastic tube, aluminum baseplate for PS plate, aluminum bright finish tread plate, aluminum circles, aluminum checkered plate, PP cap materails and others. These products are generally applied to air-conditioner, washing machine, refrigerator, cosmetic package, printing, building decoration, aluminum ROPP cap, bus floor, and telecommunication cable etc.